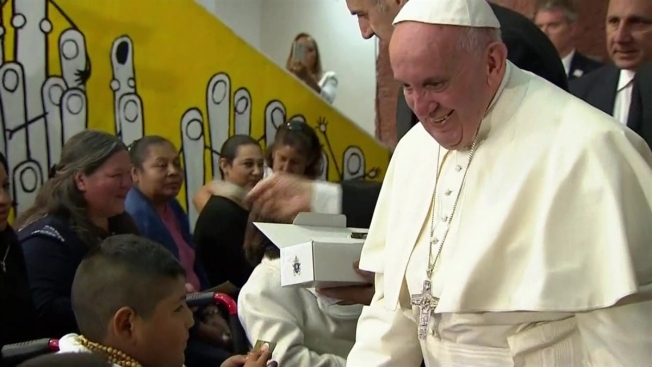 The pope is using his visit to Mexico to address the pervasive violence in the country. Of the 20,000 people who will occupy seats in the first of four designated zones during Wednesday's papal Mass in Ciudad Juárez, the majority will be the families of victims of violence, mothers of missing girls, those who are impoverished, and members of Mexico's indigenous community. The open-air mass will be held at a fairgrounds with a capacity of 220,000 people. Priest Alejandro Martinez Gallegos, the coordinator of ticketing for the event, said that the bishop of Juárez and others within the church there developed a criterion to determine the best distribution of tickets. "Our first criteria was to serve people that were more vulnerable, extremely impoverished, and people that were suffering the most," Gallegos said, referring to the rash of violence that has occurred in Juárez in years past.